Tired of the anemic, tasteless commercial chicken? The answer is pastured broilers. Our pastured broilers live a low stress environment that encourages them to express their full genetic potential. 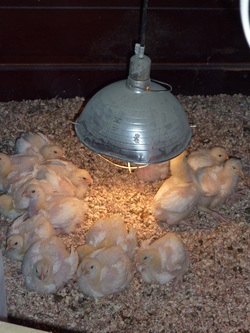 Once the chicks are fully feathered they are moved from brooder to floor-less, portable field shelters. These shelters allow the birds to live a more natural existence where they receive fresh air, exercise and sunshine. The shelters are moved daily to fresh forage and they are given all the GMO-free locally grown grain they want. 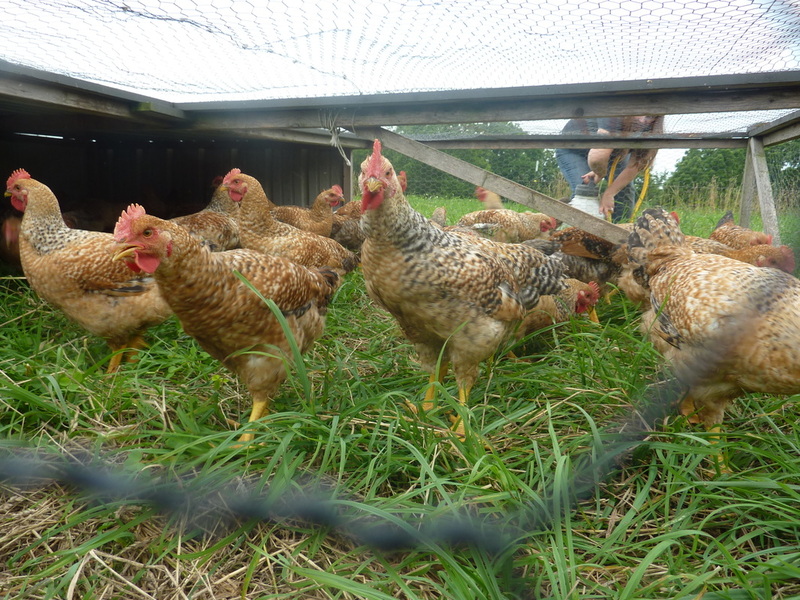 Our cows mow ahead of chickens - short, tender grass encourages the chickens to eat more or it. We take orders from March 1st until we are sold out (usually in October) for the growing season.